Portimão Surf Trip - Faro, Algarve Guests overall rating: ★★★★★ 5 based on 5 reviews. Portimão Surfing School is one of the oldest and more experienced surf school´s in the Algarve as it has been promoting surf lessons since 1998. Since the year 2000 our surf school is responsible for the Surf department of a prestigious Clube Naval. It´s at the Clube building at Praia da Rocha in the Marina of Portimão (just a few meters away from one of the best south coast surf spots) that we have our 1st “home”, in here we have changing rooms with showers, TV room for analysis and theoretical lessons plus plenty of space for surf-gear. Our location at Praia da Rocha (one of the best beach-breaks surf spots for initiation in the Algarve) turns out to be really important for our beginners and intermediate students as they can take advantage of smooth, non punishing waves that handle any tide and break quite spacious in between sets of waves. This friendly conditions result in easy, safe and fast learning surf conditions for our students as they will fell quite confident and concentrated on their surf goals. 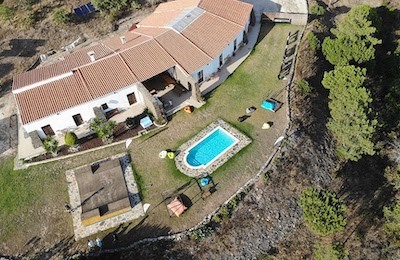 Different options as budget, accommodation style and location are available. Our surf lessons are organized on diferent levels according to the participants surf skills and age, so what we offer is private surf lessons, group surf lessons, monthly packages and basic surf packages. Occasional lessons where the student previously books his/her surf lesson for the desired day in order to fit in a group with the same skills/age. You can use in a period of 3 months time starting on the 1st lesson date. Regular surf lessons – once, twice or more times per week – in any day where there is an appropriate group to fit in. Normal group surf lessons where participants are gathered according to their surf experience and age. Surf lessons where the learning process is optimized by the one to one tuition, very appropriate for the ones that are looking for a quick progress on their surf skills. Each surf lesson has 2 hrs duration each, which means 30min for surf briefing/warm-up and sand practice + 1h30min of surfing. Each surf day has 2 surf lessons, one in the morning and other in the afternoon with a lunch break in between for resting and eating. Our surf lessons schedule can change exceptionally cause of Spring tides with big amplitudes but the “official” meeting time is 09:30 for the half day lessons and 08:30 for the full day lessons. For the full day surf lessons don’t Forget to bring food or money in order to eat at the local restaurants. For all kind of surf lessons to bring: towel, boardshorts/biquín, sun block. 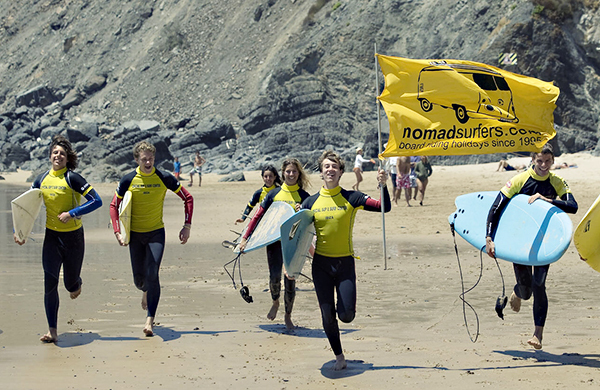 Why enjoying the Surfing School surf guiding service can be an Adventure?! Well, surfing itself is already an adventure as you already know or as you are going to discover soon… finding the perfect wave for your skills everyday (which changes according to tides, winds, swell direction and size, etc ) can be really a challenge but is also an adventure as you are always on the search never knowing how is it going to end… this is for sure something really interesting that surfing offers you that not many other sports can… even if you are a long time surfer for sure you never had two surf days just the same, or even two waves just exactly the same… welcome to the magic of riding nature!! As we are a nomad surf school, we regularly go to different surf spots, according to which ones offer us the best conditions, we don´t have to go regularly to the same place as we have all our surf gear on top of our vans and not at a local beach hut where you have to go daily doesn’t matter how the waves are. We can offer 10 different surf spots (Western Algarve) for you to know and surf and that is in Spring and Summer time because by Fall and Winter the number doubles as all the south coast surf spots start working as well!! As you have two coastlines (west and south) you have all year round (with no exceptions) the right surf conditions for you as there will always be a spot with the right wind or with your perfect wave size!! Within 45 minutes drive we can easily check several surf spots!! We are one of the oldest surf schools in the Algarve… we are operating since 1998 and for this reason we are one of the surf school´s that has priority in choosing the desired surf spots for teaching by the busy summer time… which means we can freely choose our surf spots and go to the more desirables places where only the longer established surf schools are allowed by the authorities to go! We have a team of 8 Portuguese Surf Coaches which means all your doubts and curiosities that are not related to surfing can be explained or satisfied because we are all local people very inside of the cultural and social issues… and this is really something very unusual at the other Algarve Surf Schools as many are managed by foreigners living in Portugal and with coaches that come from abroad that come looking for summer jobs and that have no knowledge of the country’s traditions and culture… remember that getting to know the country you are visiting should also be part of the Adventure! As we go daily with small groups of people with different nationalities from all over the world, you will have a chance of making new friends and have a chat about where to travel next. The main Adventure with us will be that we will introduce you to the Western Algarve National Park, named “ Parque Natural da Costa Vicentina ” we are going to take you out of the beaten track, into some dirty roads and be sure to get you to the most remote surf spots with breathtaking views! Also part of a unique Adventure is to learn surf with a true professional surf coaches team, where you can even find the Portuguese 2001 National Champion – Guga Gouveia. If you are looking for a well succeed Adventure with just the fun of it we are then for sure your best option!! Come on and let´s go Surfing on sun shining Algarve. The surf rental services from the Surfing School have been around since day one and can be a good alternative to Surf lessons for anyone who is traveling to Algarve and already has intermediate surf skill or even for surfers that are looking to be more autonomous, skip the surf lessons and try the surfboard or wetsuit that fits him/her better before buying his/her own surf gear. Wetsuits from size 4 years old up to XXL, with several different brands: Quiksilver, Ripcurl, Billabong and O’Neill. photography as a deposit until the delivery of the rented surf gear. We have a partnership with photographer Bruno Larangeira which allows our students the possibility to go back home with plenty of high quality pictures of their adventure and achievements. Our surf lessons take place in many different surf spots of the Algarve… because we are a nomad surf school and we travel around each day in order to find the best surf conditions possible (which changes according to participants surf experience, wave size, tides, wind and swell direction…). 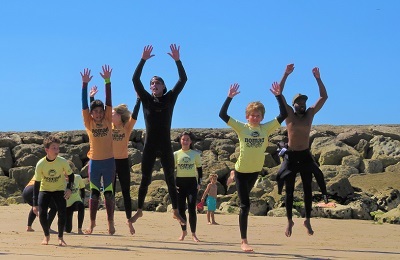 The half day lessons take place usually at Praia da Rocha (where we are based) as in Winter is good for all kind of surfers and by Summer only the very young under 12 years old stay on the south coast, while all the others participate in the full day West coast surf lessons. When you arrive in a different country as a tourist, you always expect to find comfort and good service. You would not like to climb into an overcrowded bus with heavy luggage or try to find the metro after a long flight. Instead, you would prefer to get to your hotel as soon as possible, take a shower and start enjoying your holidays. Without any doubt, the most comfortable and civilized way to get from the airport to your destination is by booking a private transfer. Our company guarantees reliability, security and a high level of service. We offer transfers to /from Faro airport at an affordable price. Addicted after the 1st lesson! "I wanted to try out surfing for a very long time. Finally thanks to the Surf School we had an unforgettable experience. We went to the West Coast, which had the best waves! And was also a beautiful place. The instructors were friendly and experienced surfers. Wouldnt mind coming here every month or so to keep doing this!" "I had never surfed before and myself and a mate had two lessons, One at Praia Da Rocha in the Morning and one at Praia Da Mareta in the afternoon. Both were fantastic experiences and i was catching and surfing waves by the end of the first lesson! Instructors were Awesome and really friendly they were very attentive and gave each person a good amount of attention. Very easy to organise the lessons and we also rented boards from these guys and again very helpful and easy to do. 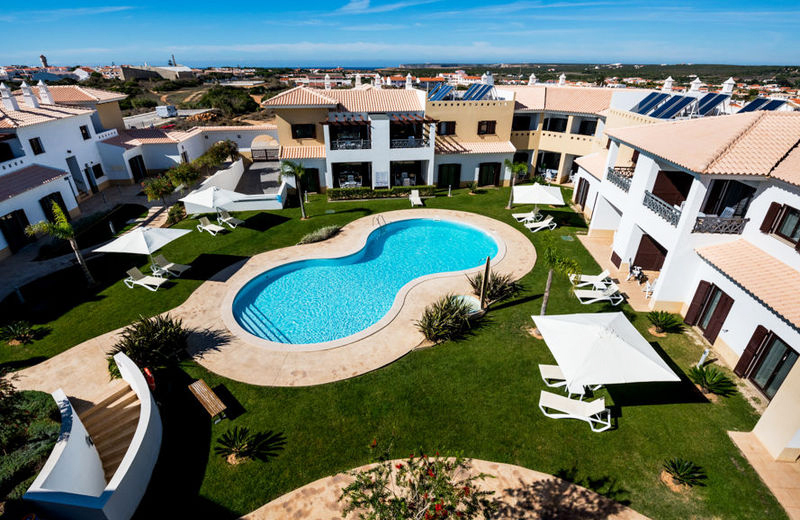 I couldn't recommend enough, I will definitely be going back when I'm back in the Algarve!" "We were a large group of people without any experience of surfing and the instructors were not only very competent but also very nice and funny! " "Me and my sister decided to take a surfing lesson and it was a great day for us! The lesson was really fun and the instructors were very friendly and social! You don't need to know anything about surfing before and you'll still like the experience for sure! I strongly recommend this school!" "Best surf experience I've ever had! kind, open minded and talented people. We really liked the daily roadtrip to the beach! Couldn't imagine a better holiday. Thank you Guys!"